Our goal for the Naviance Summer Institute (NSI) 2016 is to provide the best content we have ever produced. We have considered your feedback and we are using it to incorporate the content you enjoyed and improve the areas you didn’t. Our team has reviewed the submissions during our Call for Presenters and is working to finalize the agenda. We have defined the themes and tracks for NSI 2016 sessions, and attendees have the choice to custom select their sessions or follow a set track of sessions. Naviance Foundation: Intended for new users looking to learn and apply the core components of Naviance. 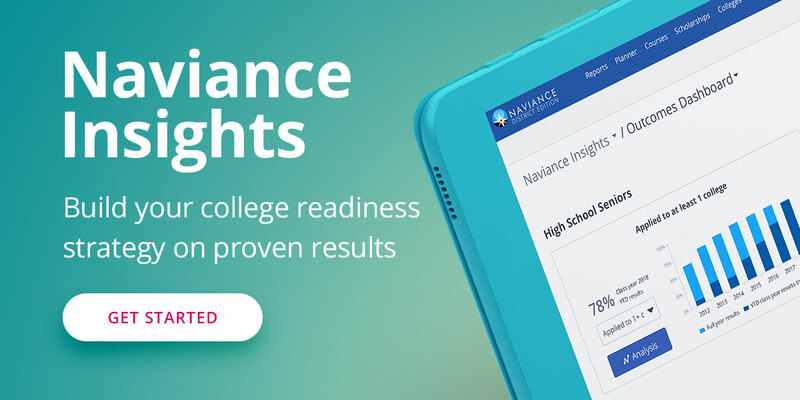 Naviance Next Steps: Intended for experienced users looking to drive engagement and results through greater adoption. Maximizing Impact: Intended for users and stakeholders of all levels interested in new trends, advances, and challenges. Data and Analytics: Intended for users and stakeholders of all levels looking to better leverage their data to drive action and results. Product Innovation: Intended for users and stakeholders of all levels interested in understanding where Hobsons is innovating and providing valuable input. We are in the process of finalizing the public list of sessions and confirming all of our presenters, and will post it soon on our website. In the meantime, you can revisit content from last year’s conference on our SlideShare page.